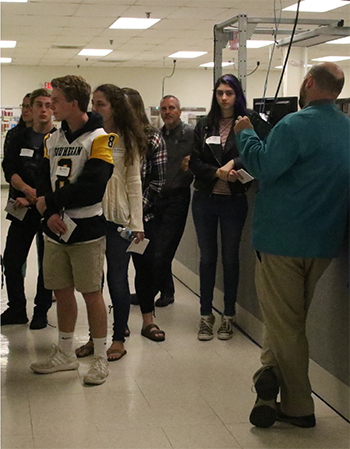 Students visit Cirtronics in Milford to learn about careers in manufacturing. New Hampshire-based Harbor Homes is test piloting the Opioid Addiction Recovery Support (OARS) mobile app created by Boston-based Q2i to support patients in Medication-Assisted Treatment programs. OARS is designed to result in fewer relapses, reduced inpatient admissions/ readmissions, reduced overdose incidents and ER visits. One of the many features of OARS is that it enables healthcare teams to understand and respond to patients' progress in real-time and provides highly effective data analysis tools that help identify trends and flag areas of concern for action/intervention. The Office of International Commerce, U.S. Commercial Service and the Granite State District Export Council are pleased to host a series of exporting-focused seminars. The training is free of charge for companies that meet SBA’s eligibility requirements to access STEP funding. Companies can determine their elgibility, or whether they will be charged a small fee, by completing the registration form available here. 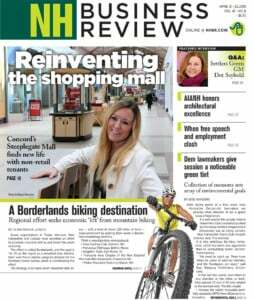 The New Hampshire High Tech Council is still seeking applications for TechOut, a startup competition aimed at enhancing the state’s tech ecosystem by awarding young startups with significant investment capital prizes. Now in its seventh year, this year’s event features a $300,000 investment pool to be given out in the form of investment capital awards to the winners. For more information, click here. The deadline is Friday, Sept. 21. Siege Technologies LLC, of Manchester was awarded a $7.4 million cost-plus-fixed-fee contract for Complex Operational Network Cyber Effects Estimation Demonstrations software, said the Department of Defense, as reported by N.H. Union Leader. Work will be performed in Manchester, and Rome, N.Y., and is expected to be completed by Aug. 29, 2021. Siege Technologies focuses on advancing computer security technologies through agile, customer-focused and mission-based technical expertise in the field of computer security. The NH Speed Venture Summit is returning in 2018 to bring together New Hampshire’s early stage companies, regional investors and tech influencers. The event, which takes place on Wednesday, Nov. 28 from 3 to 7 p.m. at the Manchester Country Club, will feature high-level networking, speed dating and a fireside chat with an industry leader. Interested startups must apply now for their opportunity to pitch to investors. Alpha Loft in Manchester will hold Lunch & Learn: The 5 C's of Credit on Tuesday, Oct. 16 at noon. The free seminar will be led by Kelly Mulholland, market manager at Santander Bank, who will discuss how banks use the five C's of credit to gauge the creditworthiness of potential borrowers. Click here to register.